Check out the Our Kids Camp Scholarship. You could win $500 towards the cost of attending a 2017 camp program – including any of the Rooks to Cooks summer sessions. Good Luck! #Contest Enter to win one of 20 free weeks at Camp. As part of our 20th Anniversary year, we’re giving 20 kids or teens the opportunity to have the best summer …ever at any of the 350+ member camps on www.ourkids.net. 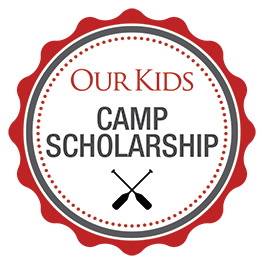 To enter the contest, simply complete our online entry form at www.ourkids.net/camp-scholarship. Double your chances of winning by liking this post and tagging 3 friends. Contest closes April 15th, 2017. Good luck!